This was the most fun unit that we have done so far in My Father’s World Kindergarten! 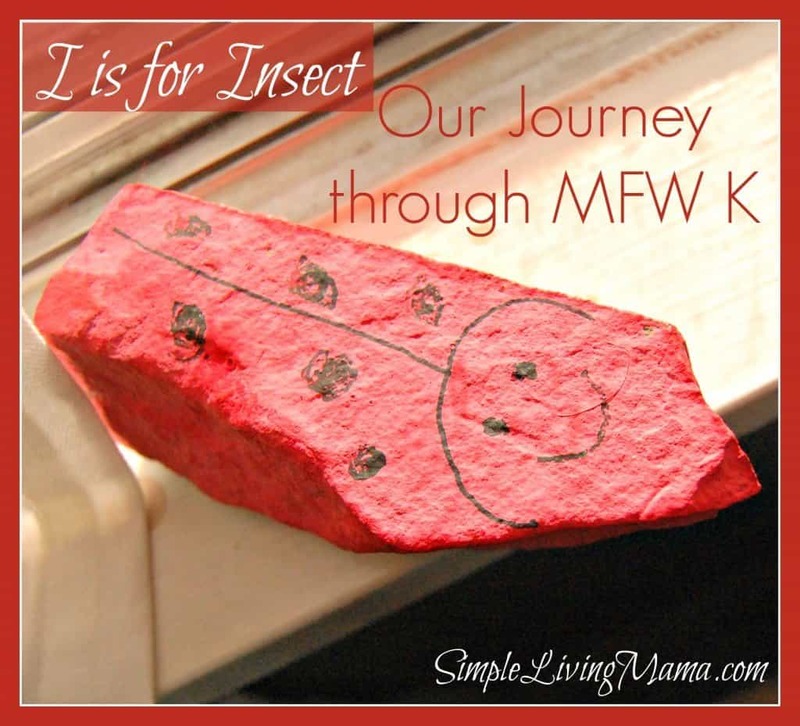 My kids had so much fun with the I is for Insect activities. We learned all about the letter I! Of course we had to do some outside exploration! I love how My Father’s World encourages nature study. Bug is doing well with the MFW phonics. He loves the cut and paste pages. 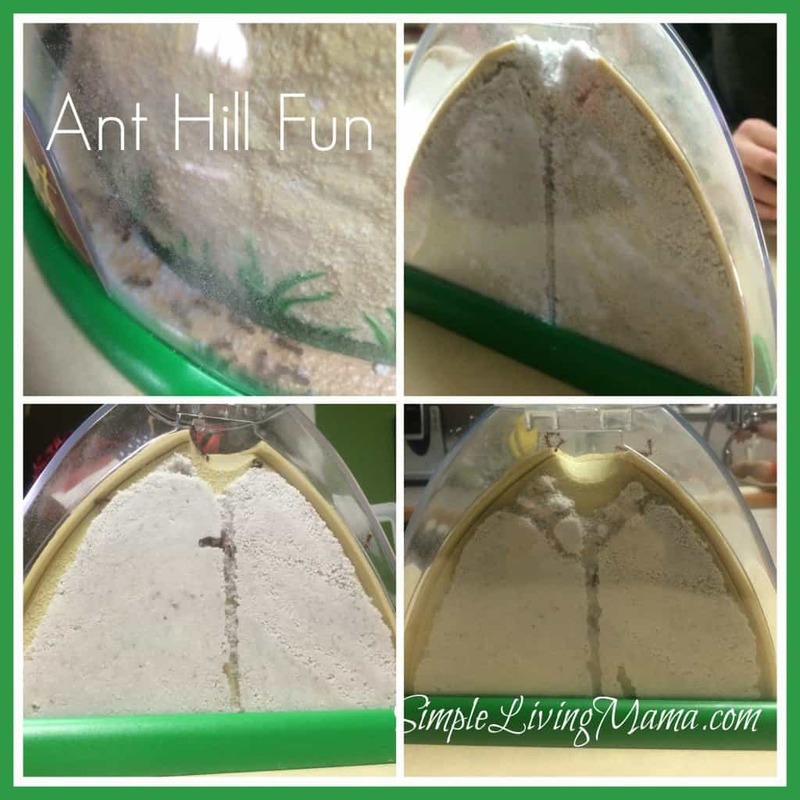 I think everyone’s favorite activity was the ant hill! 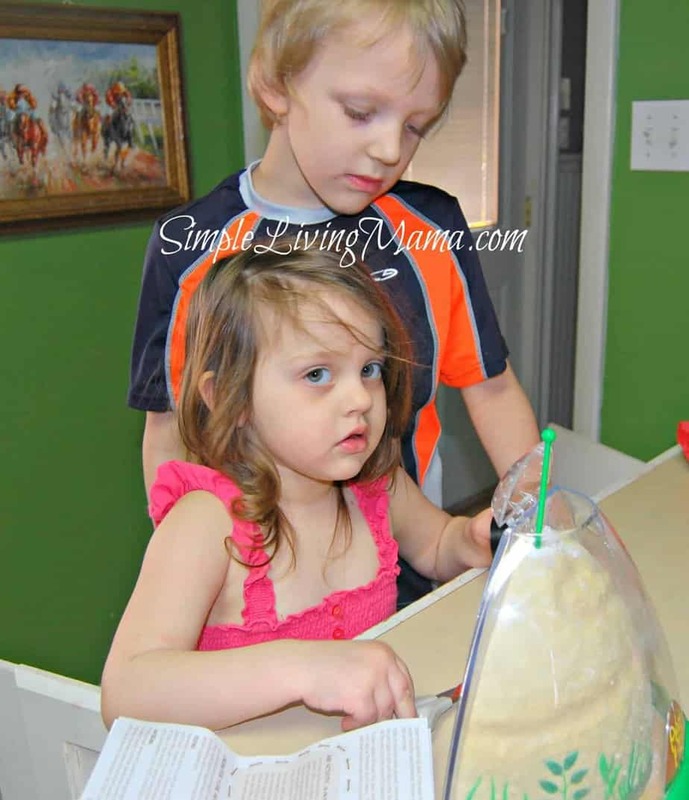 The kids “patiently” waited for the ants to arrive for several days. When they finally came, Mama was a little freaked out, but the kids were thrilled. They arrived in a tiny, plastic tube. I placed them in the fridge for a bit to slow them down, and we prepared our ant hill. When it was time, I quickly dumped them into the hill and we waited for them to get to work. It took a day or so before they really started building their tunnels. Those little guys lived longer than I expected. About four weeks after putting them in the ant hill, we had a mishap where our cat actually knocked the ant hill in the floor and it opened and ants came out! Not good! Several were sadly killed during the incident because no one wanted to get bit. We still have three. We really focused our study on ants. We watched a video on YouTube about how ants make their homes and our snack was ants on a log. It’s just celery smeared with peanut butter and topped with raisins! I am trying to make sure we do get a craft done during each unit, so we painted ladybug rocks this time around! The kids went outside and picked their rocks and we came in and painted them red. Then with my help, we gave them black spots and eyes! Our book this unit was The Bee Tree. It was such a cute story! 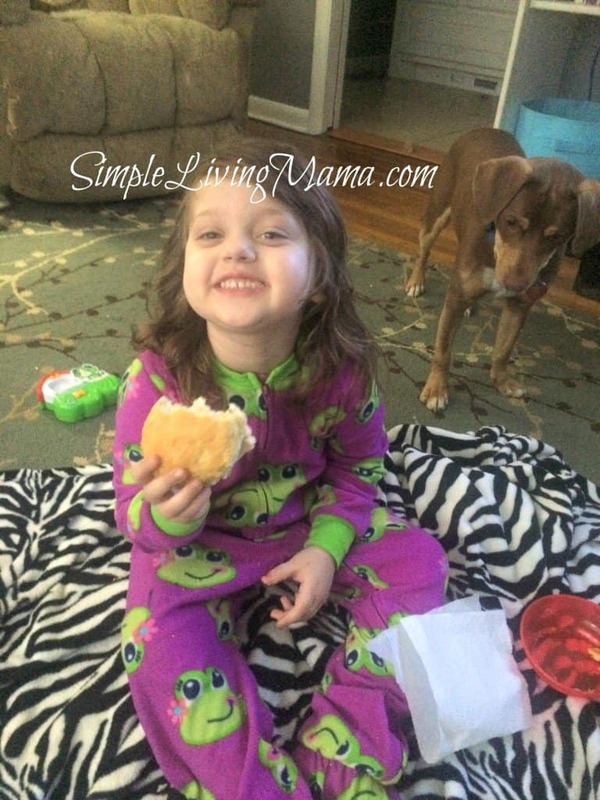 We had biscuits and honey after reading it! 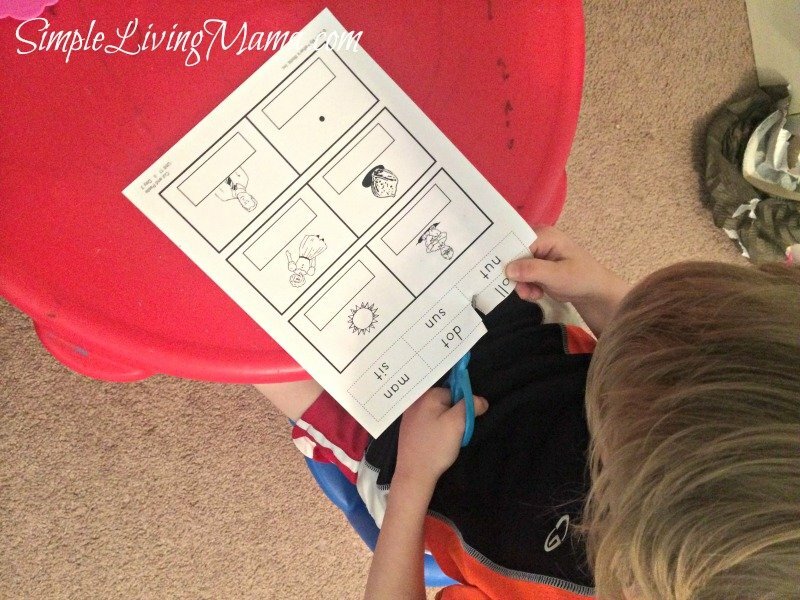 Don’t forget to follow my My Father’s World Kindergarten board on Pinterest to find lots of extra ideas for the units! Also check out all of our previous posts in this series!